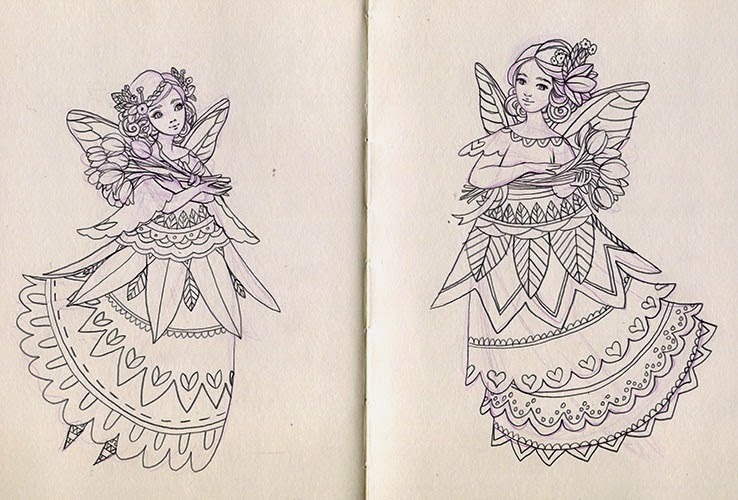 Working to incorporate the patterns I have so much fun drawing into fairy dress design. With spring upon us too, tulips and little weed flowers inspire me. 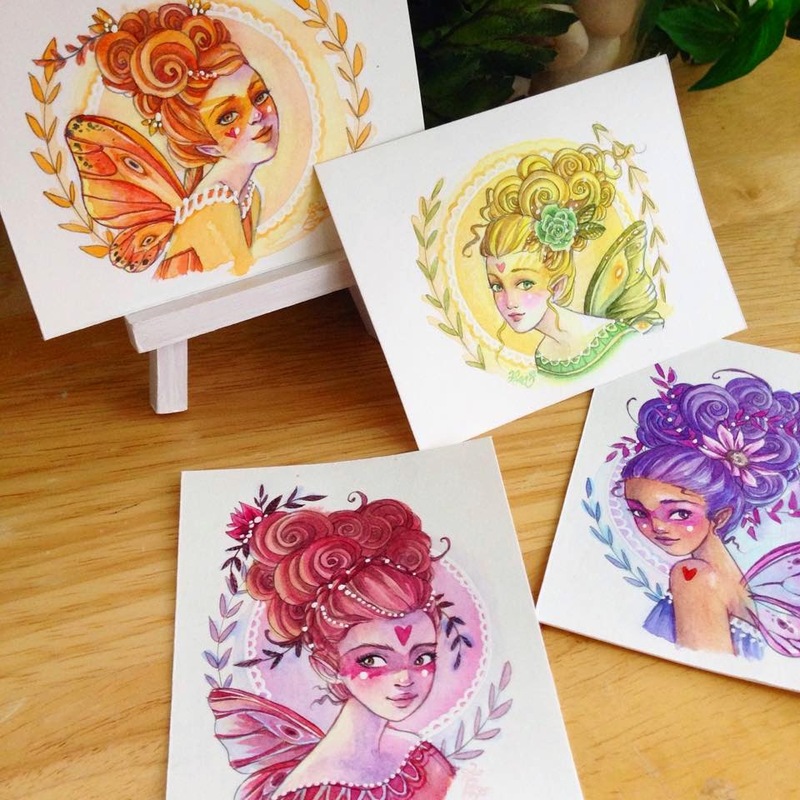 Tomorrow I'm listing these cute original watercolor pixies for sale in my Etsy shop. Follow me on Facebook, Twitter, or Instagram to see the exact time they'll be going up! Love them all, you are so talented!!! !